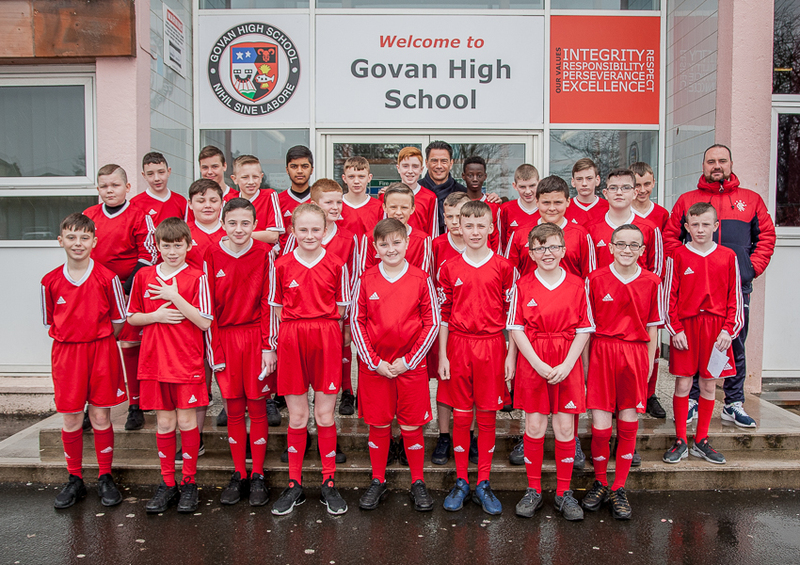 Our School of Football programme engages with S1 – S2 pupils from areas of social deprivation with the aim of improving behaviour, motivation and communication skills amongst hard to reach groups. The Rangers Charity Foundation currently delivers this initiative in Govan High school to S1 – S2 on a weekly basis. Over 100 young people have taken part in the programme, which involves daily football coaching over the 40 weeks of the project. Physical Education teacher at Govan High School, Gordon Reid, said: “We’re now in our second year of the programme and I have seen it grow to become a hugely positive influence, not only within the school, but within the community. We are grateful to CashBack for Communities for their funding support for this programme via the Scottish Football Association.